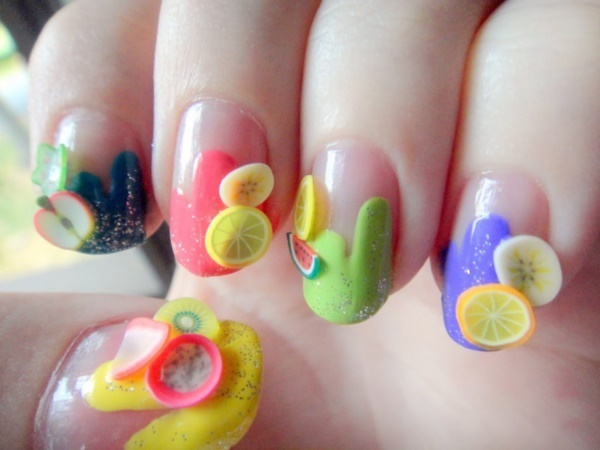 Nail art is a fabulous way to express yourself as well as enjoy well-manicured nails with fun summer-themed designs. We see nail polish and other nail accessories just about everywhere we go, from the grocery store to convenience centers. Not only does this make it easy to pick up the tools needed to do your nails at home, but will allow you to show your nail technician a picture of the design you want and they can create the design for you. However you choose to have your nails done, access to everything you need is incredibly easy and makes for a fun afternoon or evening. 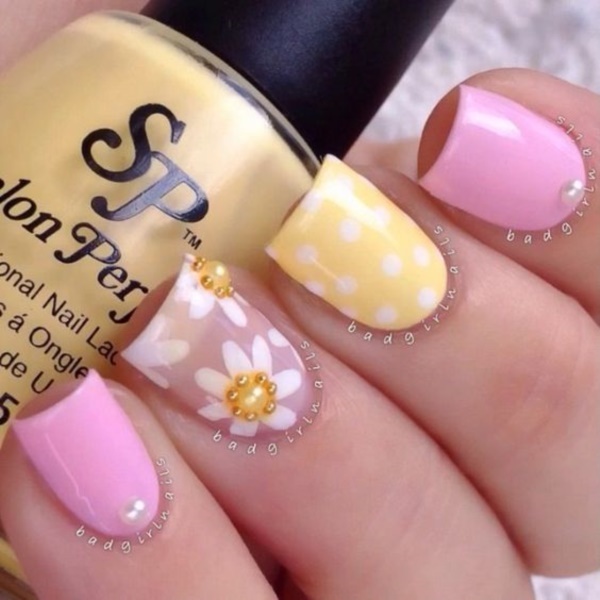 Whether you want a single color or many colors, as seen in the image below, you can easily do this design with a dotting tool or a toothpick to enjoy this design for yourself. 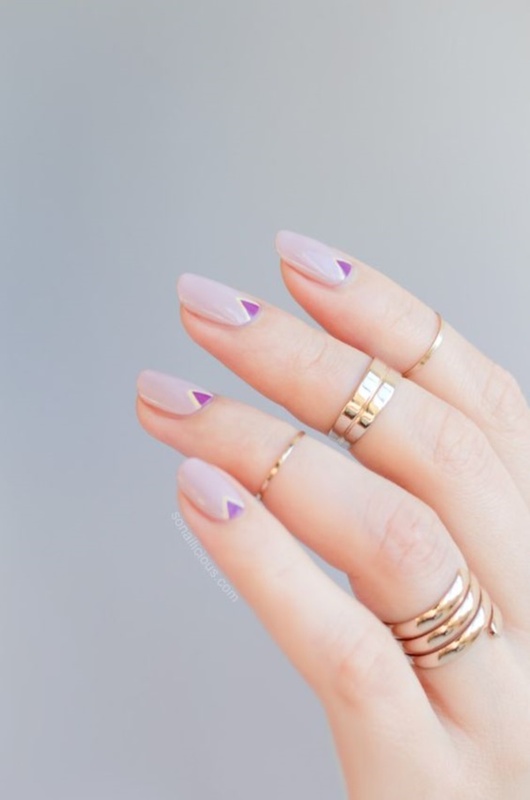 With a little patience and some nail art tape you can apply the zigzag pattern, and the gems can be applied using either a clear polish or a nail glue. This design is easier than it may seem, but with a dotting tool, you can place dots on your nails with a heavy amount of polish then drag the colored dots downward to create this interesting design. If you are not the artsy type, then this design may be better left to a professional. 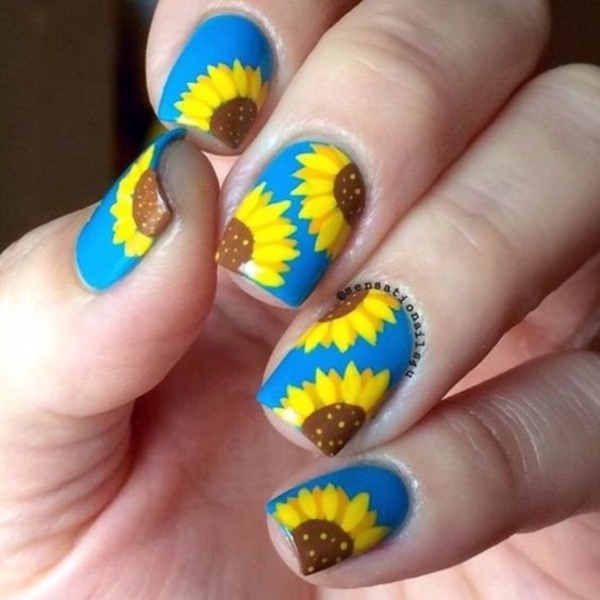 However, you can create this design by placing small amounts of yellow and brown on a paper plate and using a very sharp tipped brush to create each of the petals as well as the dots in the center of the sunflowers. Fade designs are becoming more and more popular nowadays as they are incredibly simple to do at home. 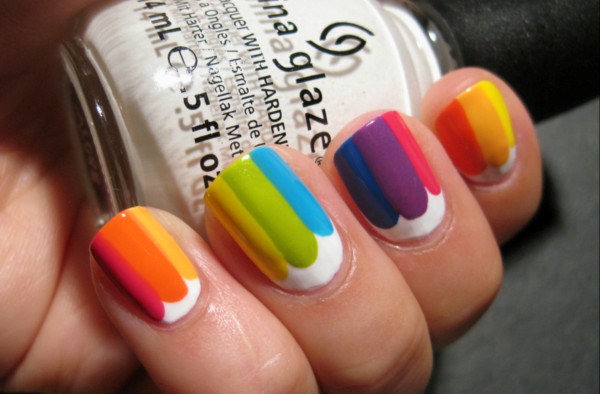 Simply place stripes of nail polish on a makeup sponge and dab onto your nails until you like what you see. This lacey rose pattern is another more advanced design, however, it would look fabulous during the summer months and even in the spring while everything is in bloom. Accent nails are incredibly popular as they can really make your nails pop, and are really easy to do. 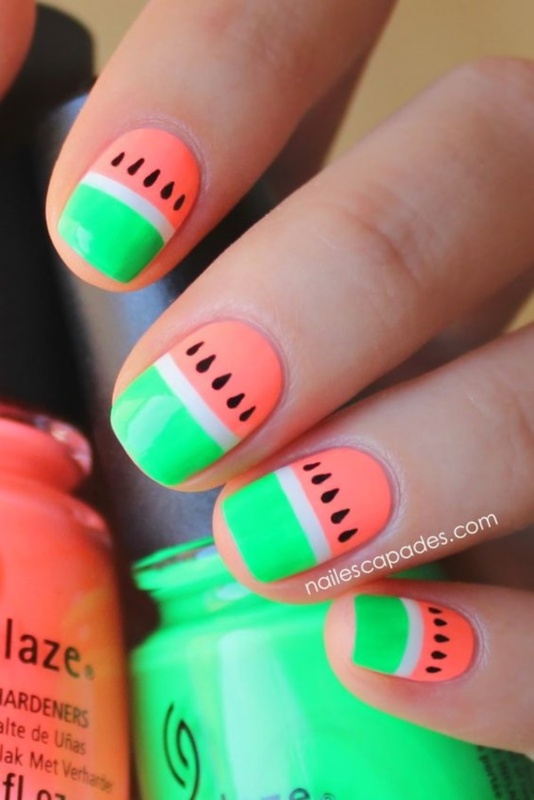 If you love watermelon, all you need is a little tape and to paint each small section of this design separately. 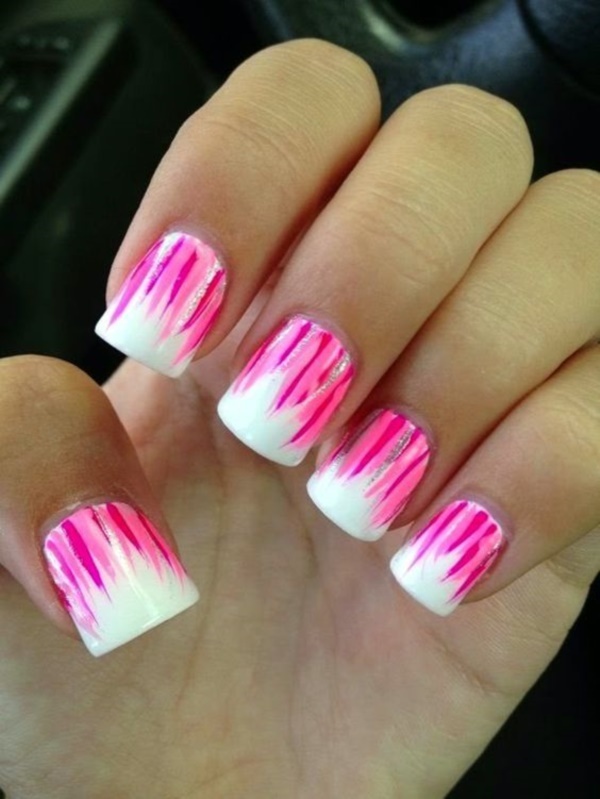 This marbled like French tip design certainly screams summer with the bright color and will look amazing no matter what your plans are. Arrows are another very popular choice in designs for your nails, and can be drawn using a liner brush, toothpick, or dotting tool. Citrus is in season all summer long and one of the best drinks to enjoy in the heat is lemonade, so this lemon design is perfect for summer. To get these sparkly nails all you need to do is start out with a good black nail polish and apply at least 2 coats over a base coat. Once the black nail polish is dry gently paint the golden glitter polish into the dripping pattern, then use a makeup sponge with a bit of the golden polish on it to dab even more glitter onto your nails. 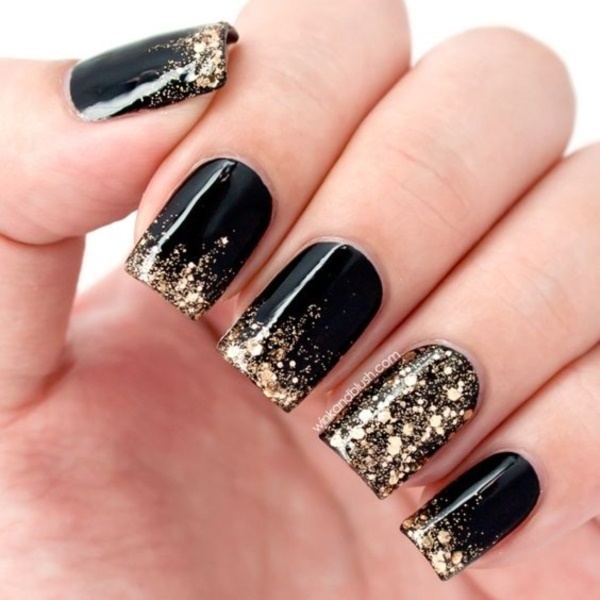 The process for these nails is the same as the black and gold polish, though due to the larger pieces of glitter within this sparkly polish you may want to use a toothpick to put them where you want. 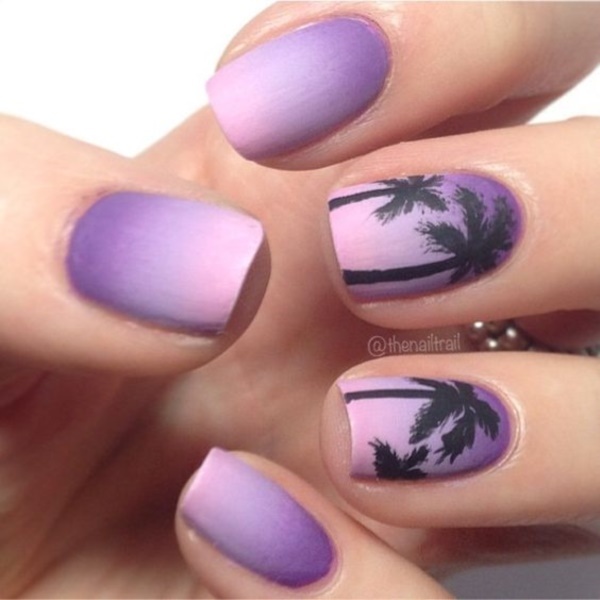 The lavender colored fade in this nail design is fantastic, however, the palm trees may be too advanced for those who wish to do it on themselves. 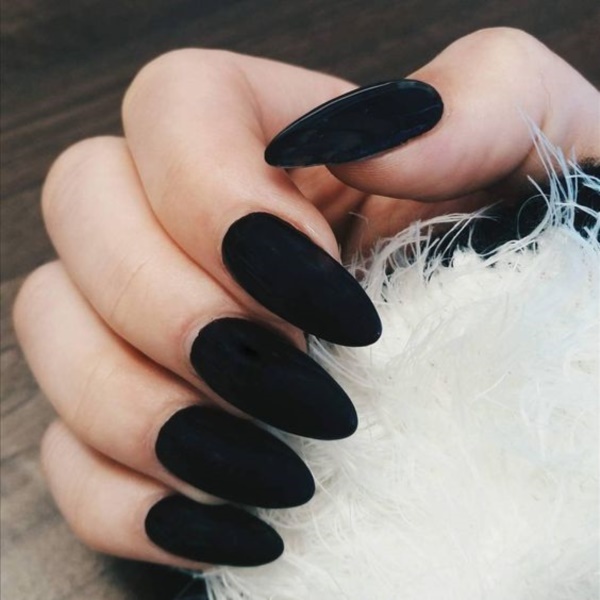 These almond shaped nails look wonderful in this matte black polish, though you can also use a matte top coat to get the same effect this summer. 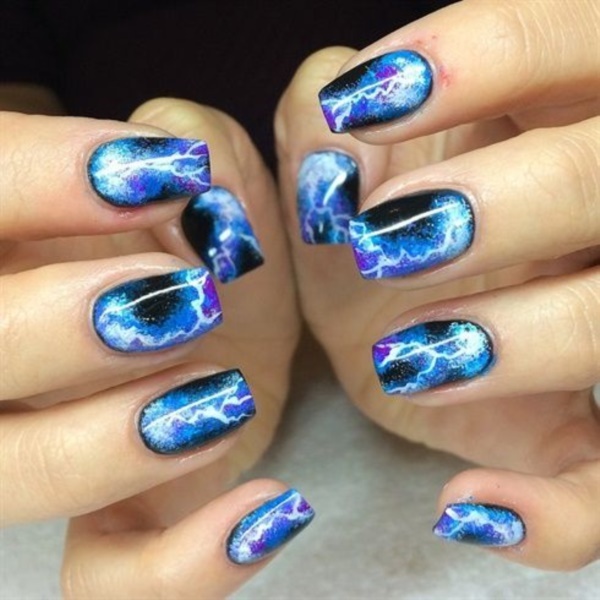 Who needs galaxy nail art when the summer months, the process for this summer nail art is exactly the same but rather than stars you will want lightning bolts. This design is likely to be the world’s easiest design. 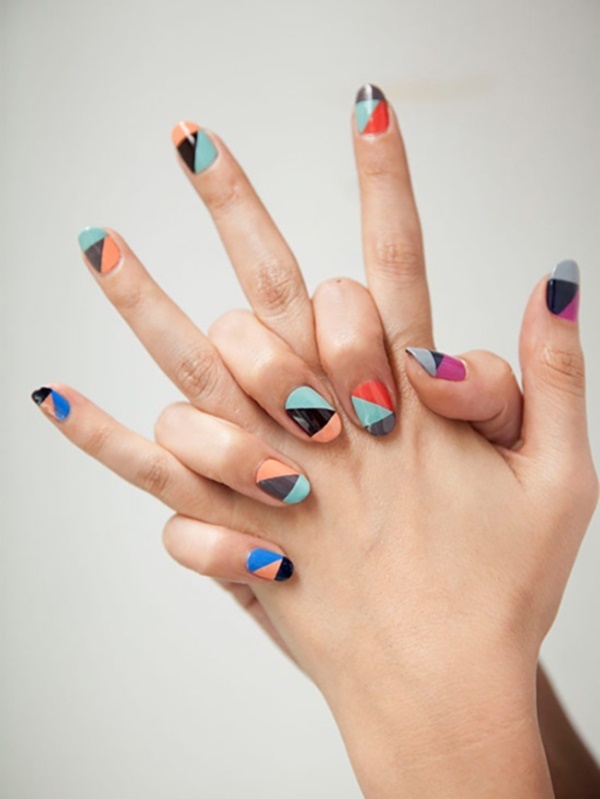 Simply paint your nails the desired main color, then tape out the triangle and fill it in. 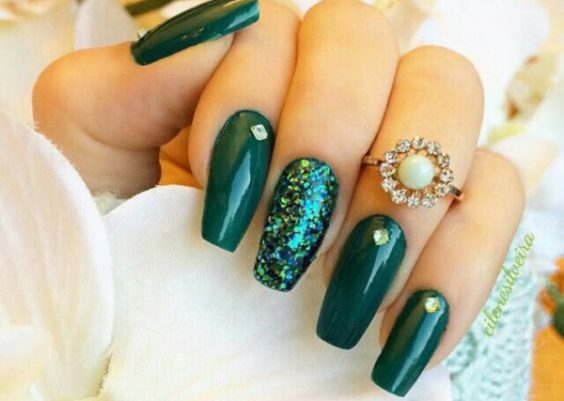 While most people would probably go have this accent nail done for them by a professional, you can also purchase nail wraps that will provide the same effect if you can find them. Summer certainly makes you think of the ocean, and this ocean like fade makes a dreamy design for summer. Pastel colors are usually reserved for spring, but the brightness of these colors fits with the summer theme beautifully. Oh, my! 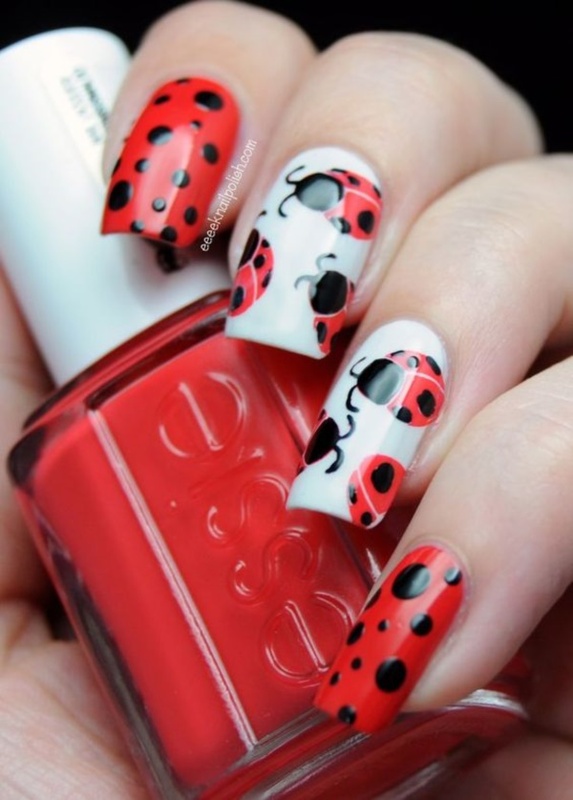 The number of ladybugs during the summer is amazing and they look so pretty as a beautiful nail art and are incredibly easy to paint. 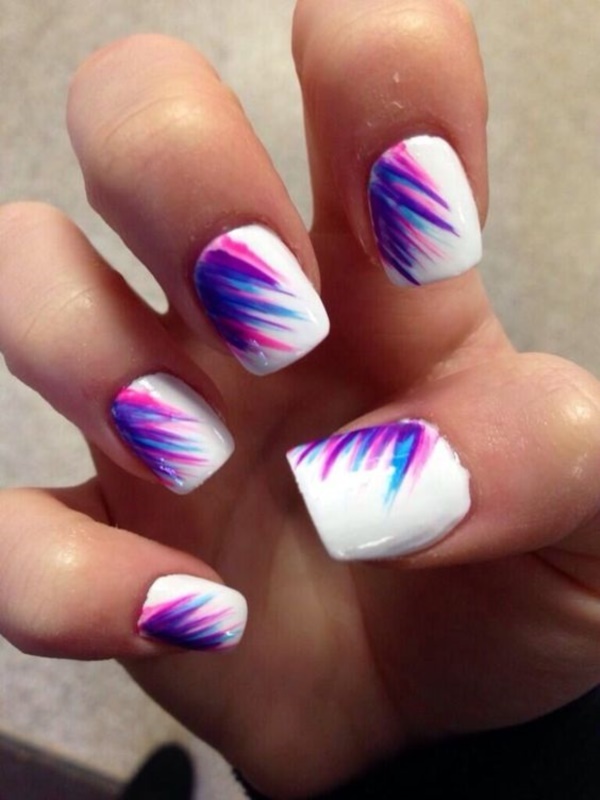 If you like this nail art, then the only challenge would be using a liner brush to paint the feathers. It is highly recommended that you use an acrylic art paint for this as you can easily wipe away mistakes with a little bit of water. This flower design may take some time, but you can always take the design slowly with a bit of watered down acrylic paint to get the nearly faded effect on the petals and blending with the blue and white. 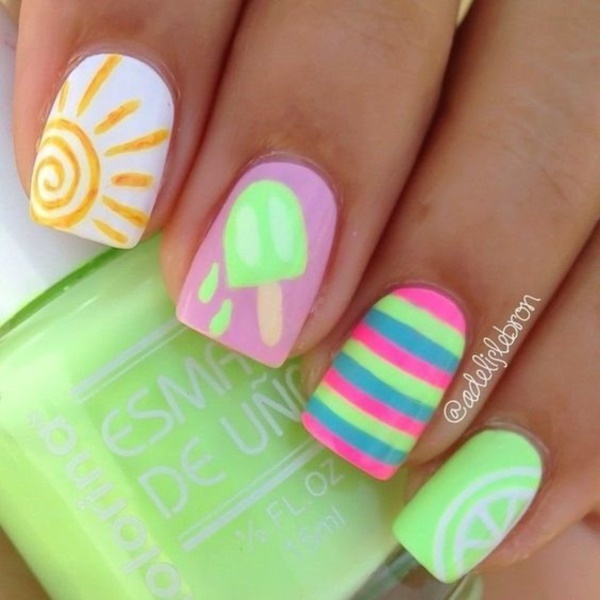 Anything with bright colors is amazing for summer. Teals fit in with the summer theme due to their brightness and close association with water. 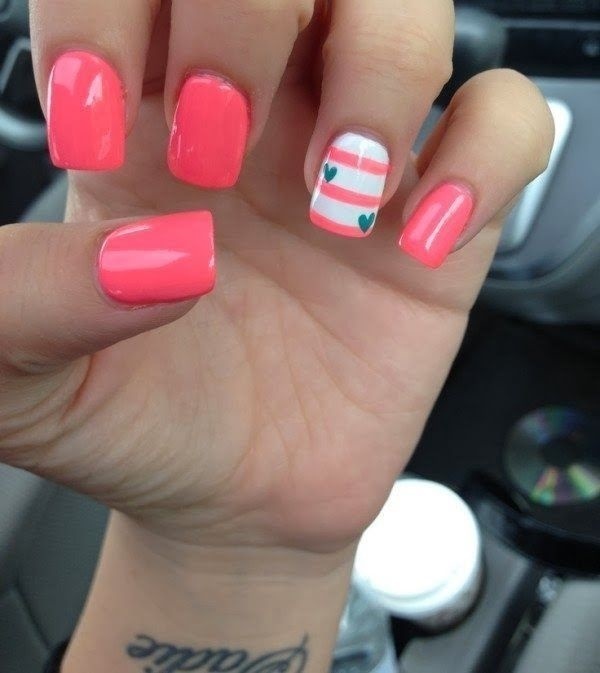 While many may think differently, stripes are always easy and fun when you have very little time to do your nails. 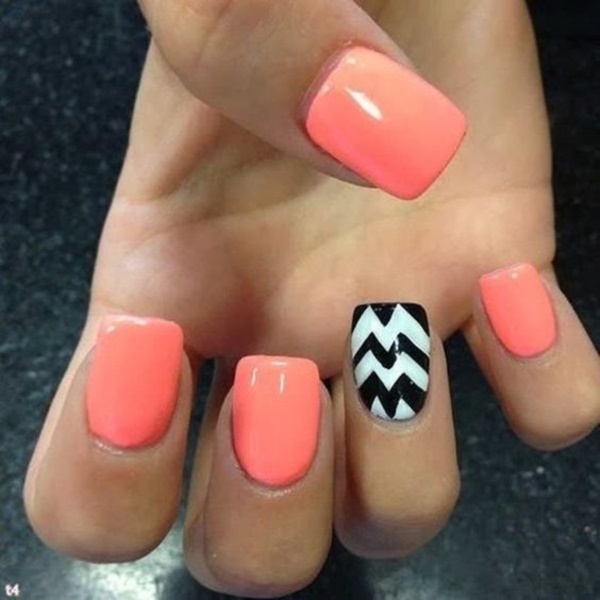 While pink could fit any season, it suits the summer months far better and provides a simple touch to any manicure. 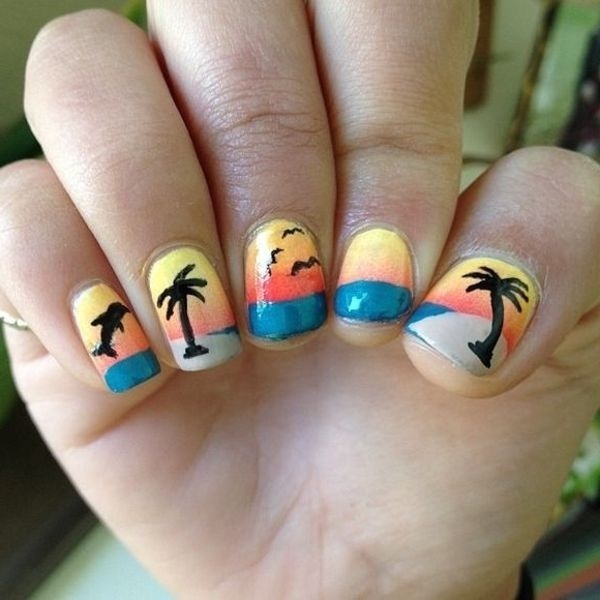 These are definitely vacation nails with the sandy beach nail art. 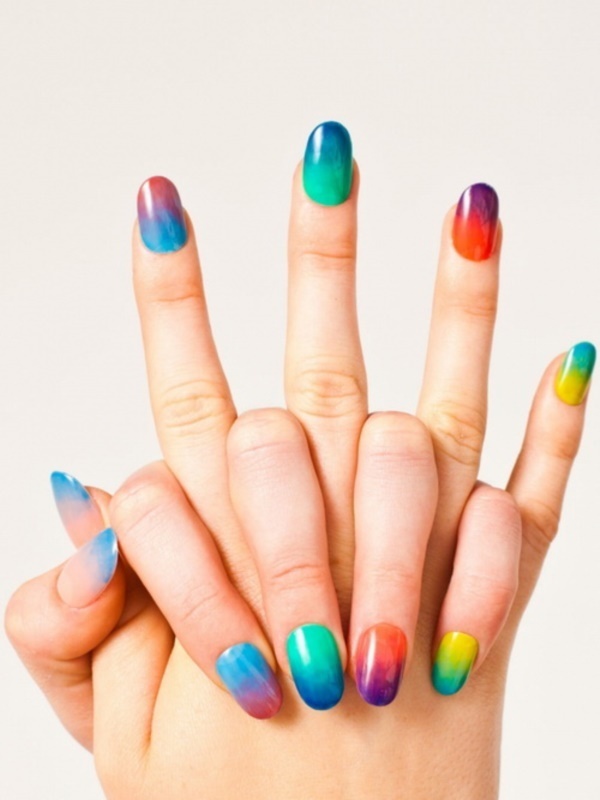 If you are feeling a bit edgier, why not choose different colors to create fades on each of your nails? 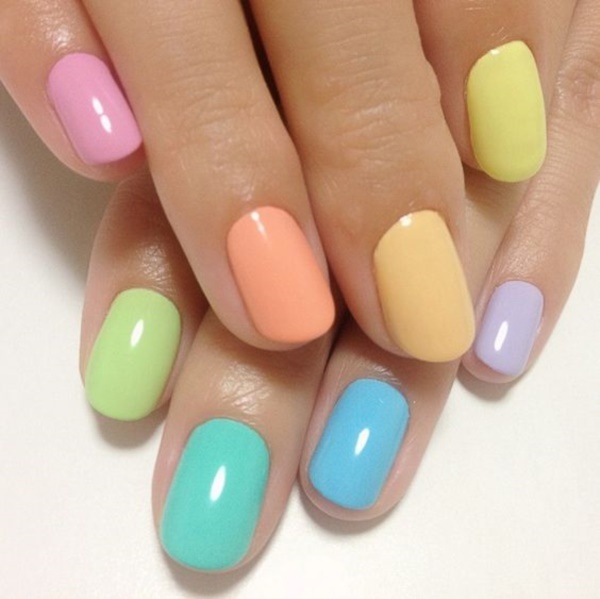 During the summer we spend more time on Instagram due to the beautiful weather, so why not hashtag your nails? 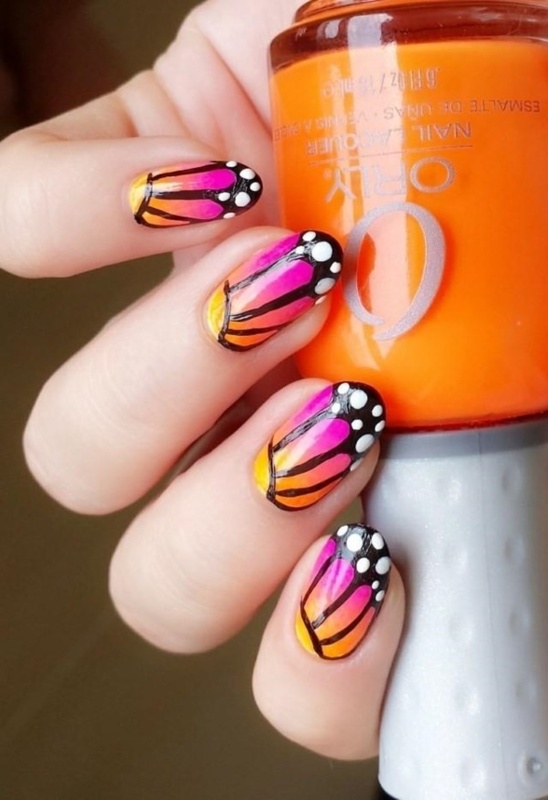 If you choose the right colors in your fade, you can easily create butterfly wings on your nails to celebrate the return of the butterflies with your nail art. 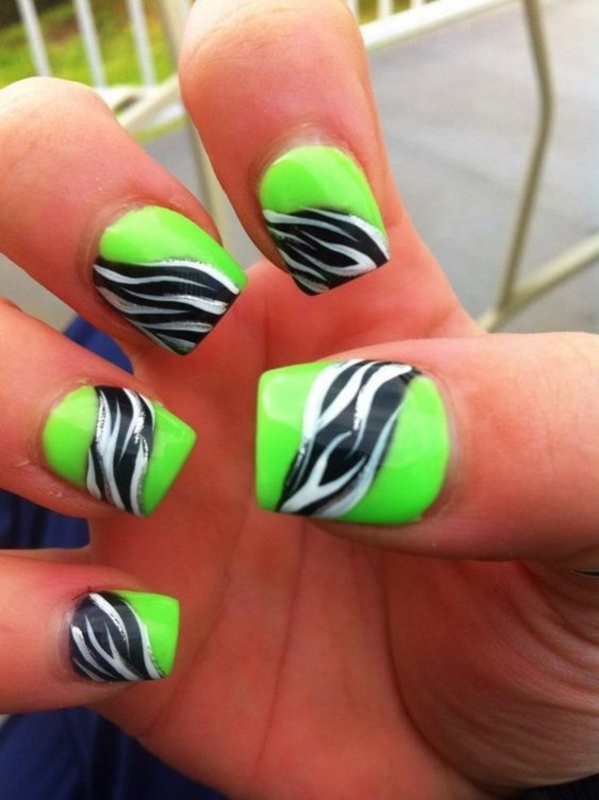 These may be more difficult looking, but simply create the stripes of color and outline them with a black nail art paint with a liner brush. While Easter has passed, little birds are hatching throughout the early summer and these colorful eggs look amazing in the summer time. 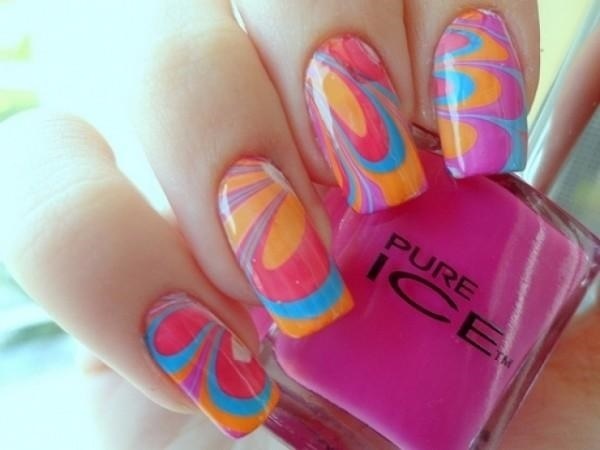 Since summer allows for more time, take your time and learn this beautiful water marbled nail art. 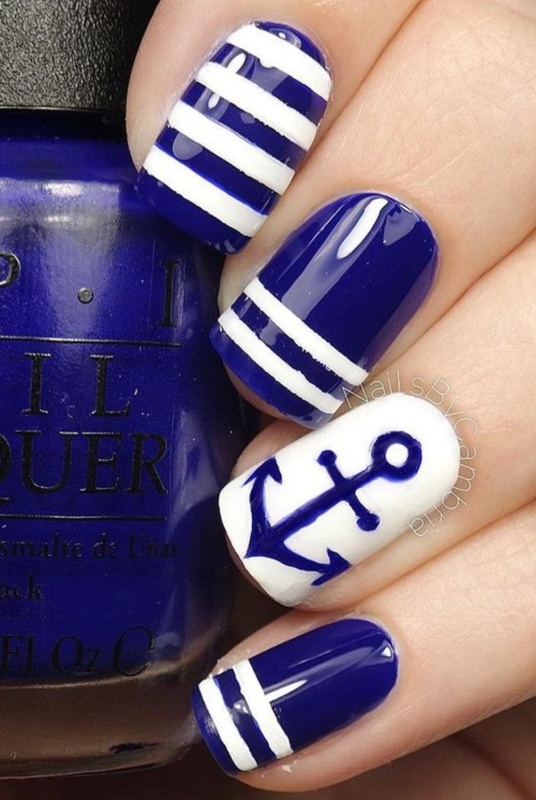 Nautical nail art is in style this summer and will look great while you enjoy your time on the water. 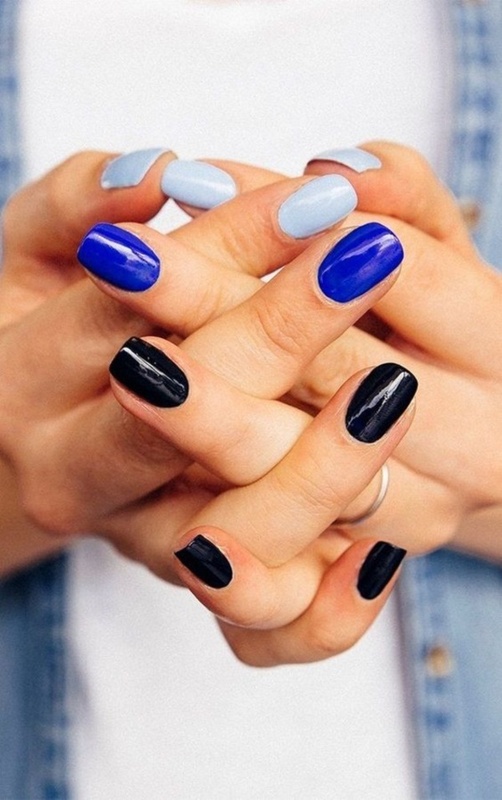 Rather than playing with fades, simply paint each nail a different and darker version of one another. 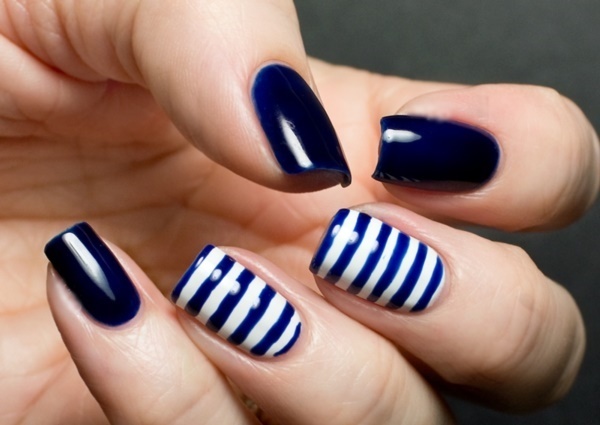 Break up your solid blue nails by creating stripes on your accent nails using one other color. 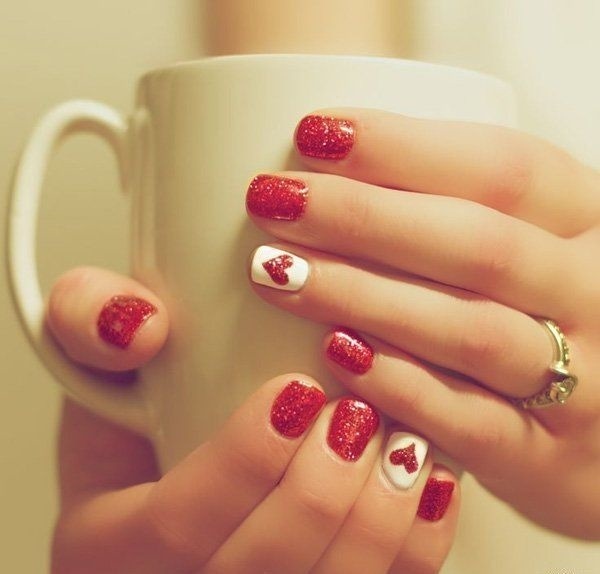 Love is in the air throughout the summer as there are plenty of flings to be had, and these red heart nails are the best nail art to match. With the summer storms comes a few scattered rainbows which always remind us of beautiful summer days. These two beautiful colors in a squiggly pattern are reminiscent of some of the many swimsuit patterns that we see today. We mostly see these beautiful wish granting poofs throughout the summer as dandelions cover our lawns. 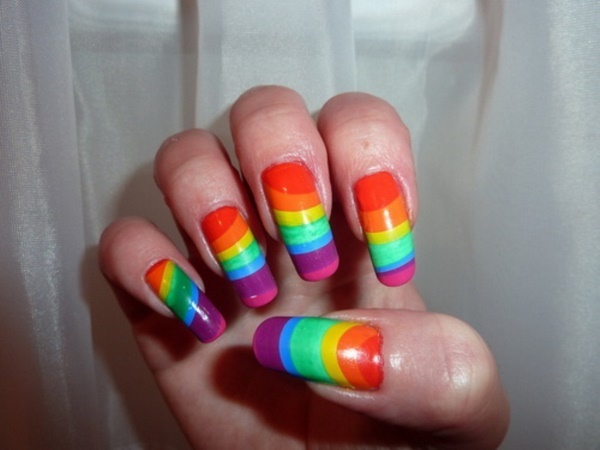 This nail art is more representative of a true rainbow due to the arc, though far more solid than the real thing. 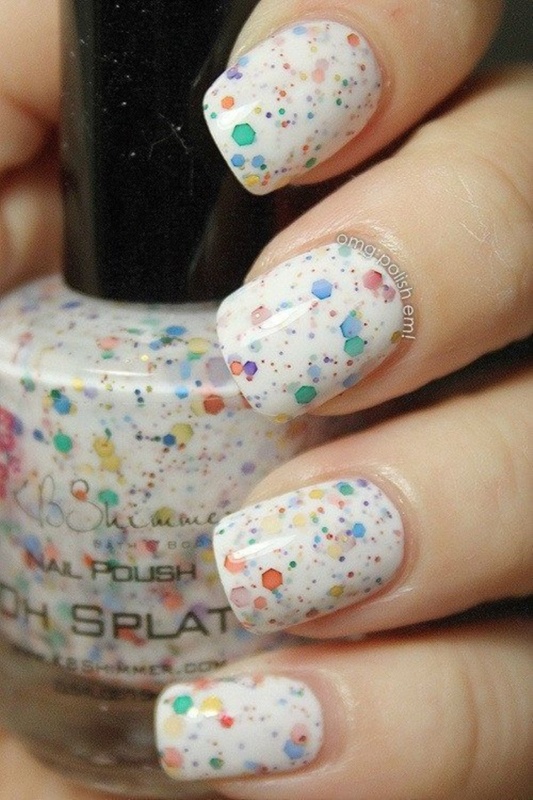 The summer months are seen as freeing and relaxing, so try splatter paint nails to show how free you feel. 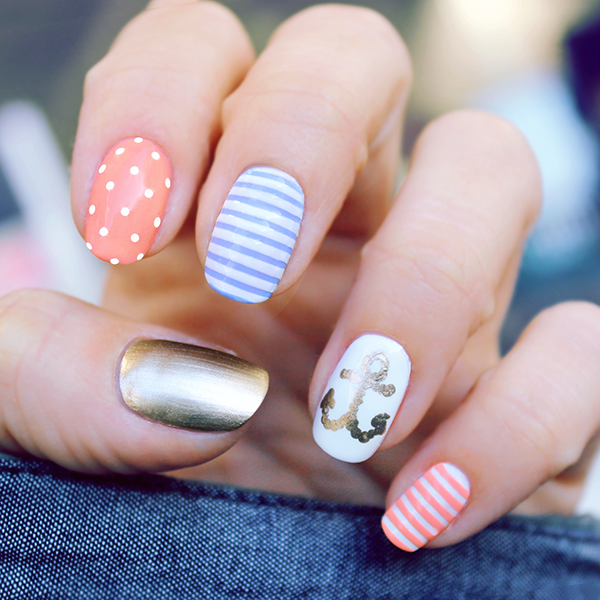 If you love nautical nail designs, this summer nail art certainly fits in with our summer time theme. 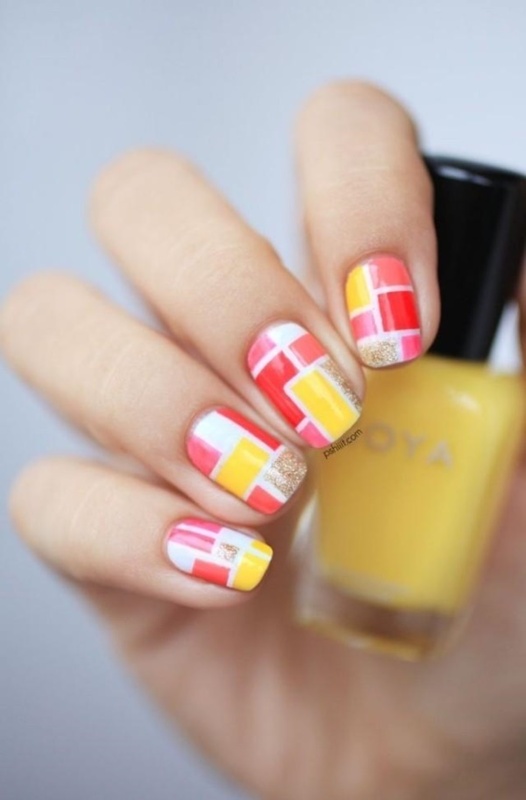 While sticking to a color theme, these nail art designs feature many patterns and decals that pay homage to many summer outfits this season. 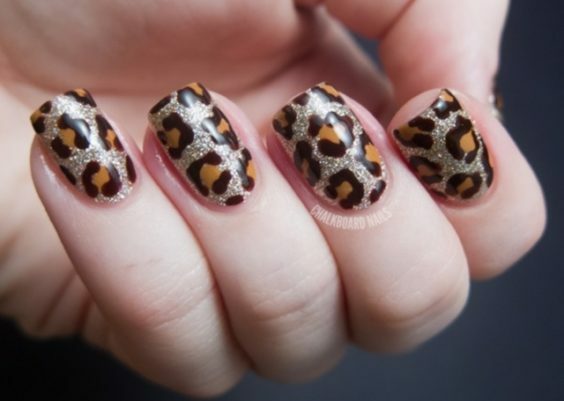 Most of us visit the zoo at least once during the summer, and these spotty nails will certainly fit in with the critters that live there. While water marbling can be difficult, you can give your nails an aqua style nail art with little bubbles along the tips for an interesting French manicure. 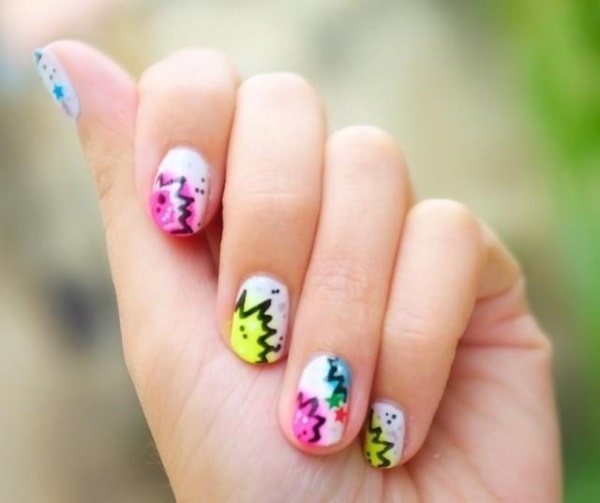 Fitting for most of this summer’s fashions, these nails possess many of the designs seen in this year’s fashion. 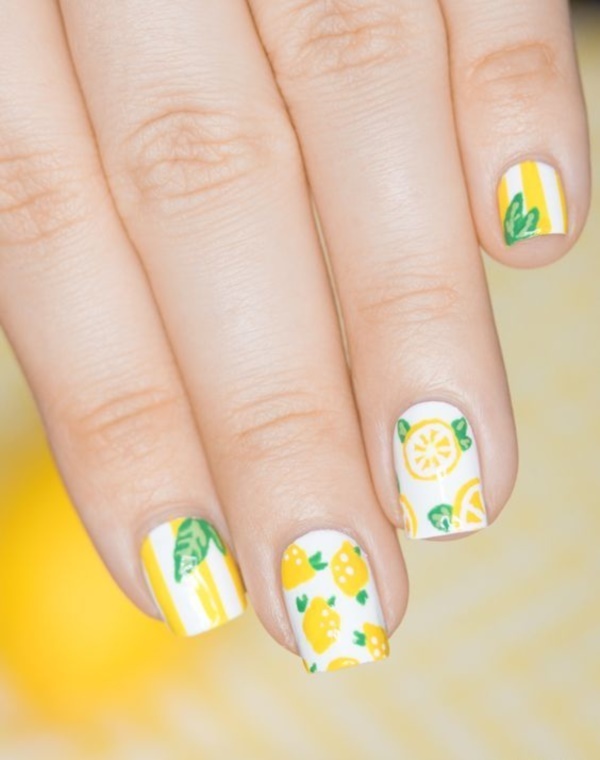 Nail art has never looked so tasty or fitting for the summer months. 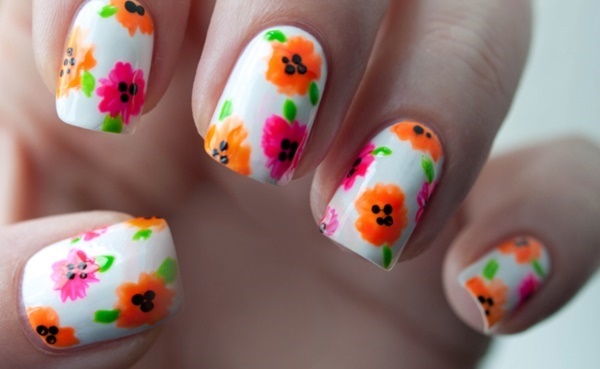 Since many things are in bloom, covering your nails in floral patterns is only appropriate for the summer. These Native American style patterns can be found everywhere, and if they happen to fit in with your summer wardrobe then give them a try. 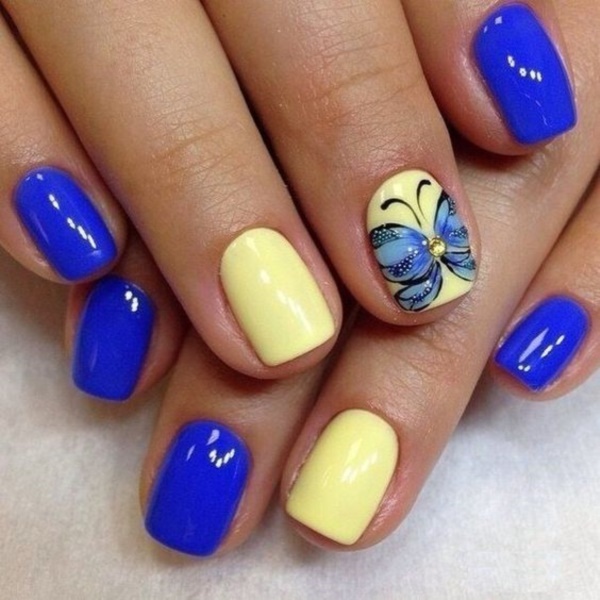 Since summer is carefree, why not pair your nail art to your jewelry for a little extra pop of color. Summer is full of bright colors like this bright light blue, and most women like to wear these blues in their swimwear and flip-flops. Why not be a bit spontaneous this summer? 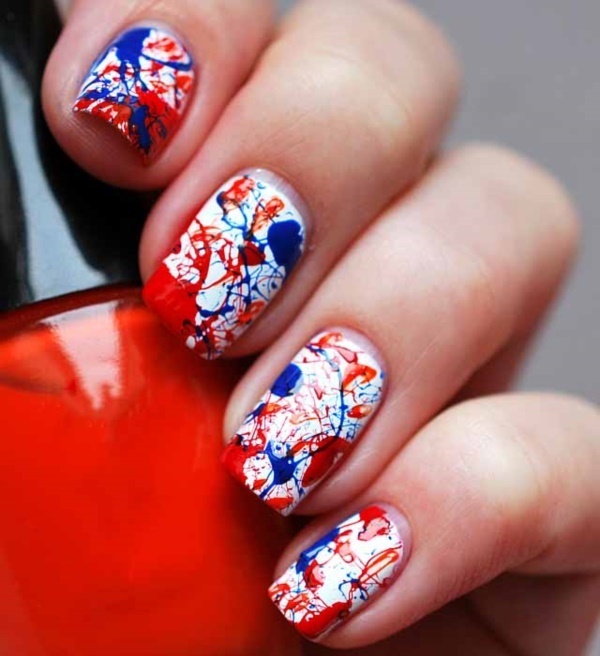 Pick out 5 of your favorite nail polishes and paint each finger a different color, but remember to mix it up. This high fashion nail art accessory is becoming more and more prominent this summer to add a little extra shine to your nails. While there are many patterns, one of the most time consuming has to be the squares. 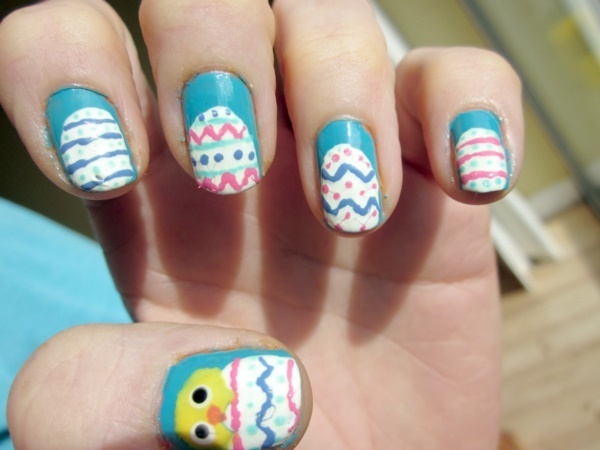 But when it comes to choosing a fun nail art to keep you busy you will find nothing better. This fun, almost watercolor styled pattern is most definitely one to play with if you want to do it yourself due to the difficulty it may be better to have them done professionally. These action bubbles would be a fun and easy nail art for your nails and allow you to have more fun with the designs adding words and dots. Though these may be wraps, they can be done in polish with a little time and patience. 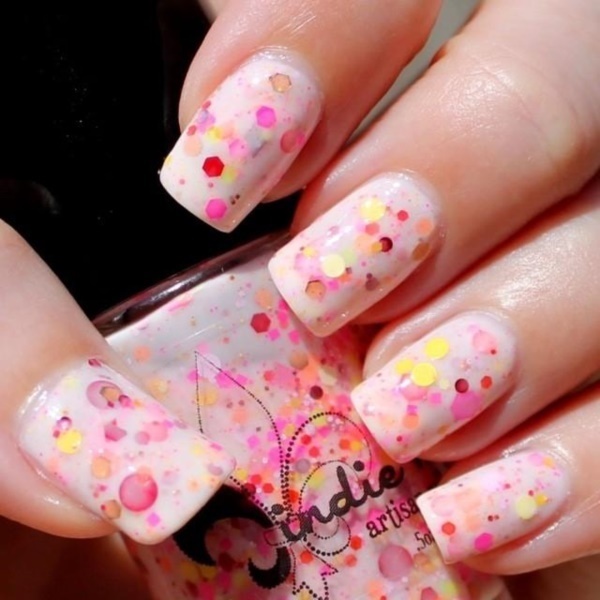 This accent nail would be incredibly easy to do and the hearts can be done using a dotting tool or toothpick. As a simple accent nail this nail art design is simple and fun, plus will only take a couple of minutes to do if you are in a little bit of a rush. 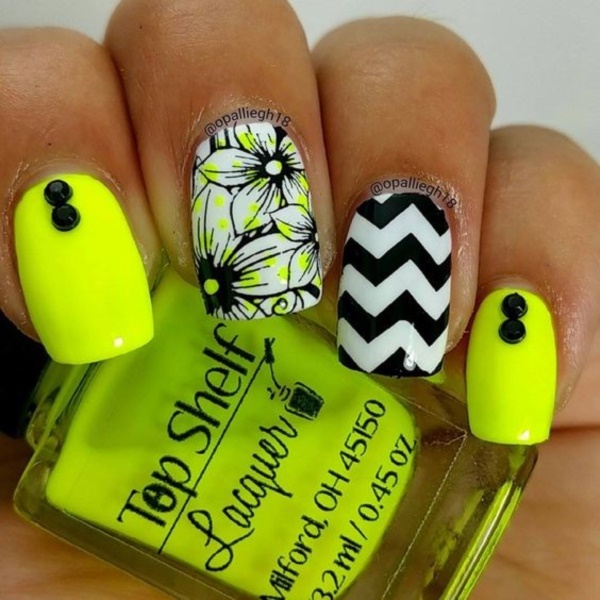 Yellow is an excellent summer color to create bright nail art and will remind you of the sun even if you are stuck indoors. 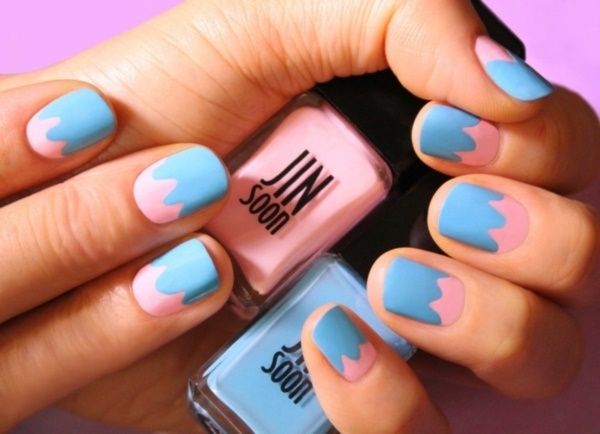 You can create this look by using a liner brush and your favorite color, though you may want to look into some nail wraps to make your life easier with this nail art. When looking to do animal prints, there is nothing easier than that of a zebra print. Although you will want to keep in mind your white nail polish should be fairly thick to apply over black this flawlessly. 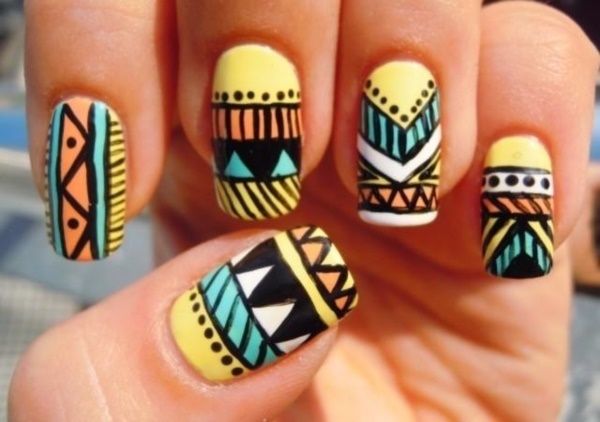 Straight lines are a breeze if you use a nail art tape or even a bit of scotch tape making this design super easy. 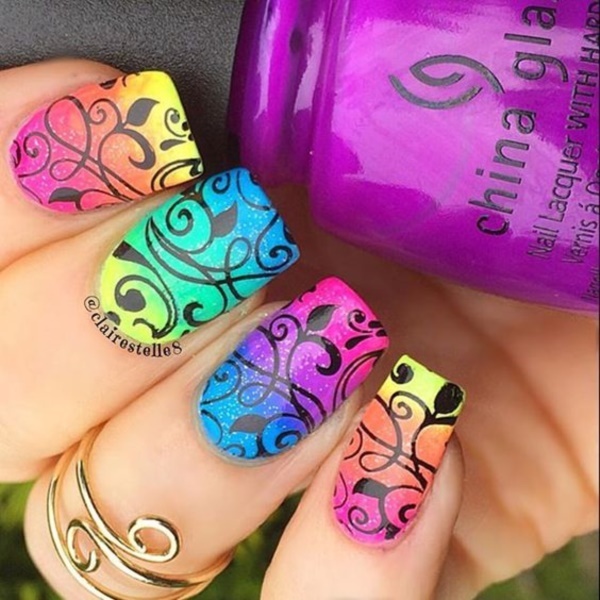 Quick swipes with a fine brush should provide you with this fun designs base, simply swap colors as you go to obtain the multicolored effect. 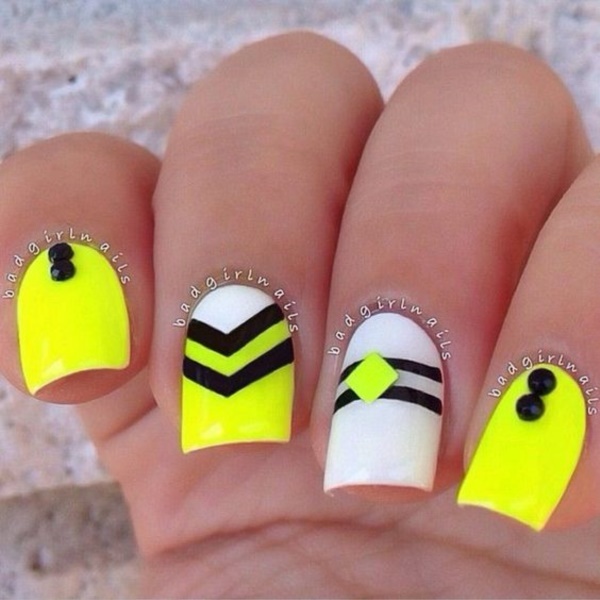 When creating this nail art you will want to start with white, then yellow and finish with black to prevent smearing and poor stacking of your colors. This fun summer design will certainly keep you thinking cool thoughts as you bask in the sun this summer. 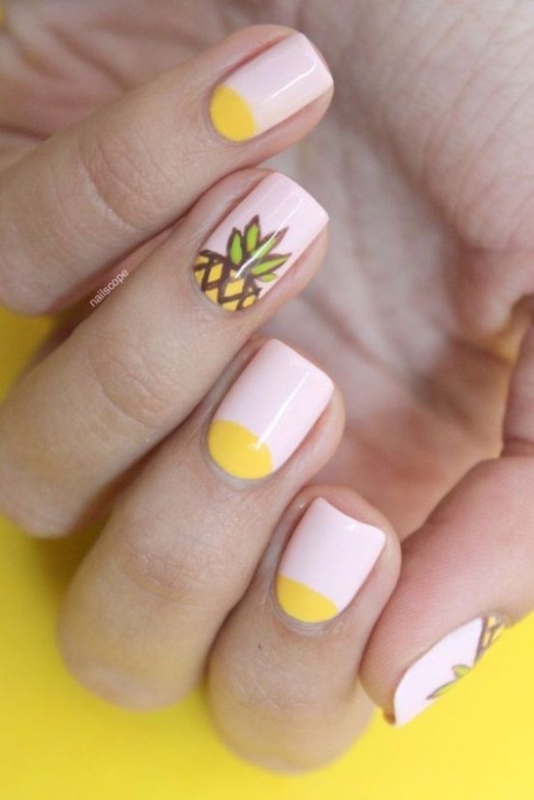 Pineapples are easy, simply start by placing a circular yellow design near the cuticle of your nail and follow with the shapes of the leaves. Then finish it off with the black line work to create your pineapple design with ease. 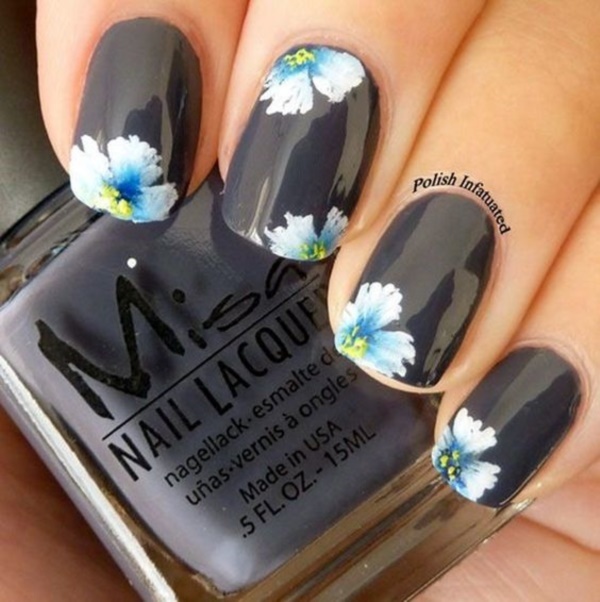 The daisies in this nail art design can be made by sweeping the nail polish into a daisy shape ensuring that your movements are directed to the center of your flower. 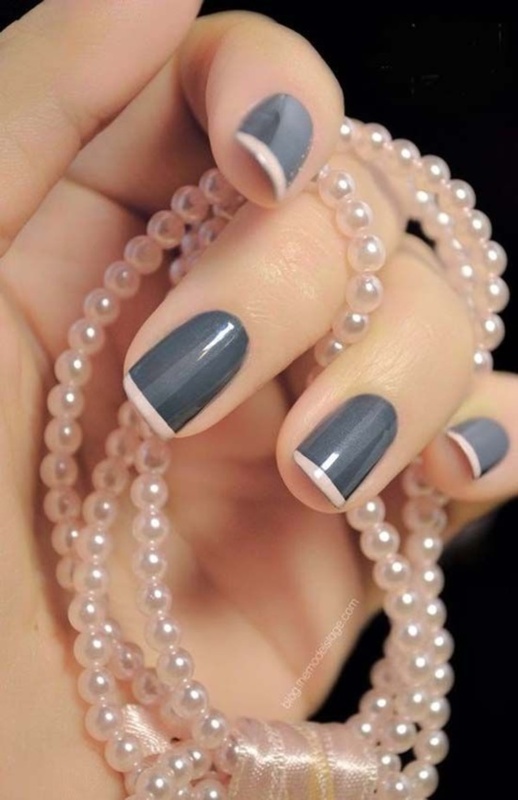 Then simply adorn your nails with gems to finish the look. Using a liner brush you can create these palm trees using tiny strokes for the leaves, then drag a line from the center of your leaves to create the trunk of your tree. 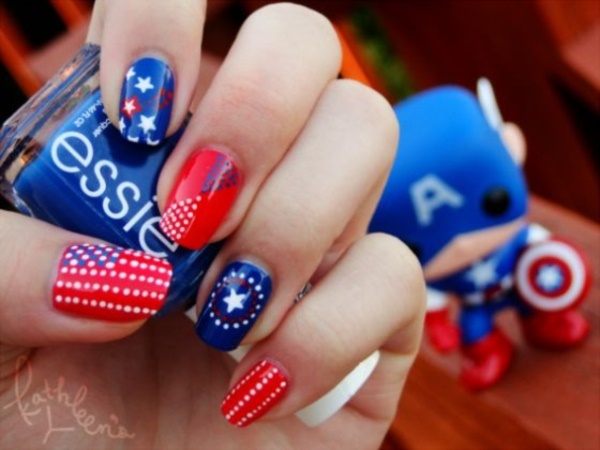 Celebrating the Fourth of July with your nail art is easy with red, white, and blue nail polish and a touch of time. These sea shells may seem difficult, but if you can keep a steady hand the small lines are super simple. 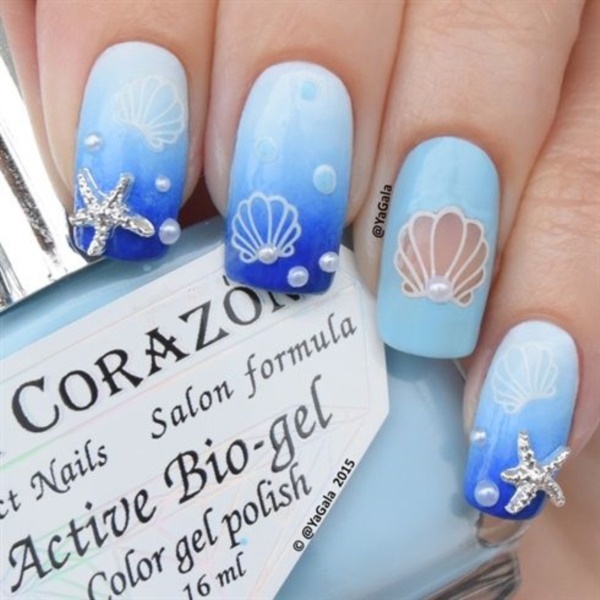 Then you can glue on tiny sea shell beads to your nails to complete this summery design. 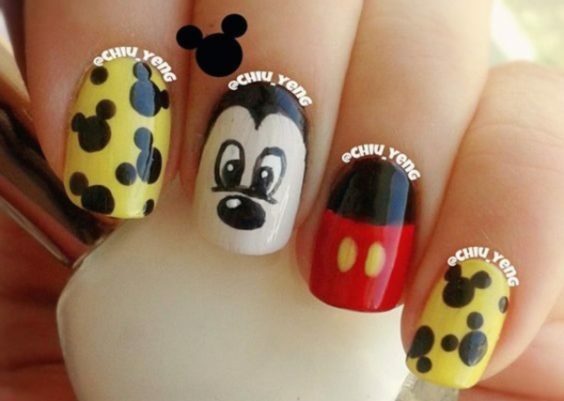 Dotted nail art is easy with the right tools although you will definitely need a dotting tool for these large dots. 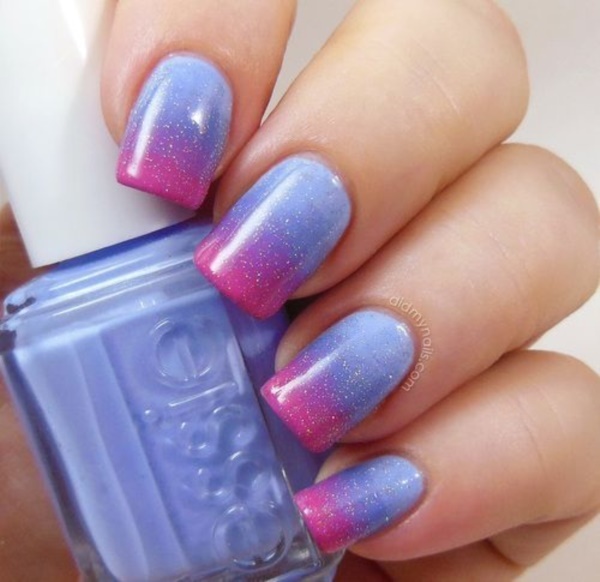 The flecks of glitter in this nail polish creates its very own nail art, though you may want to add more flecks using a toothpick to obtain more of the larger pieces. Like many other fade style nail art, you will need a makeup sponge, though keep in mind that it will give you a larger glitter pay off the more you dab. These petals are a simple design that can be built up with little effort beginning with the color then ending in the lines. 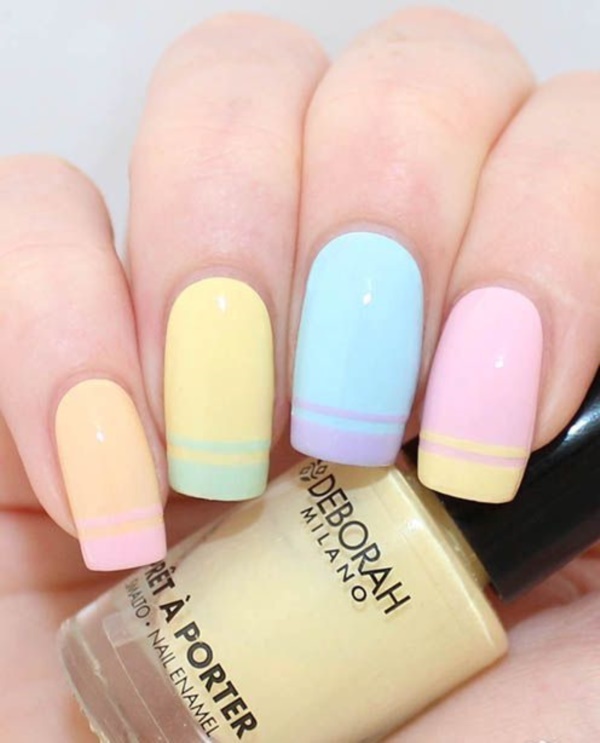 Solid pastel colors will definitely brighten your day. 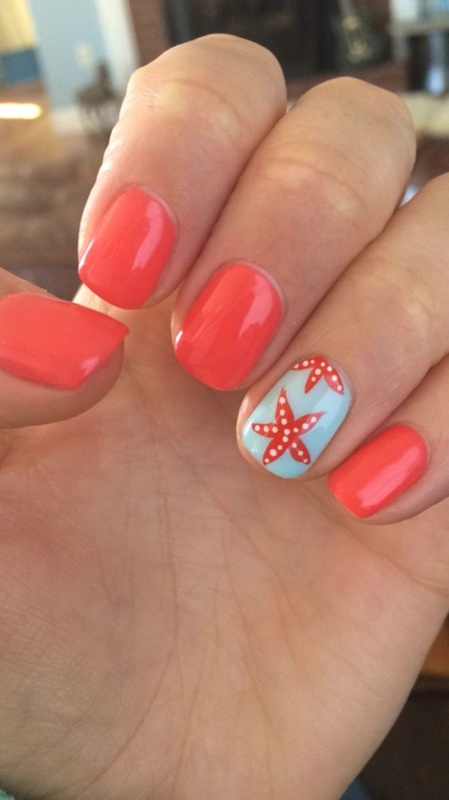 Starfish look harder than they are as long as you take the time to practice the design before committing to painting your nails. When looking to achieve a straight French tip design, consider beginning with the darker base color and waiting for it to completely dry. Then use tape to protect the base and determine where your tip will be. 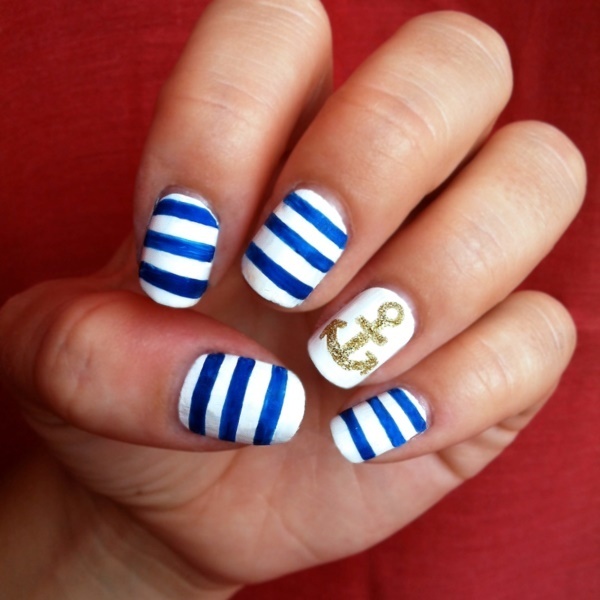 The nautical style nail art deserves to be on the water with its classic stripes and anchor design. With this design, you will want to start with your fade and finish off with the black design using a nail art stamp kit for best results. 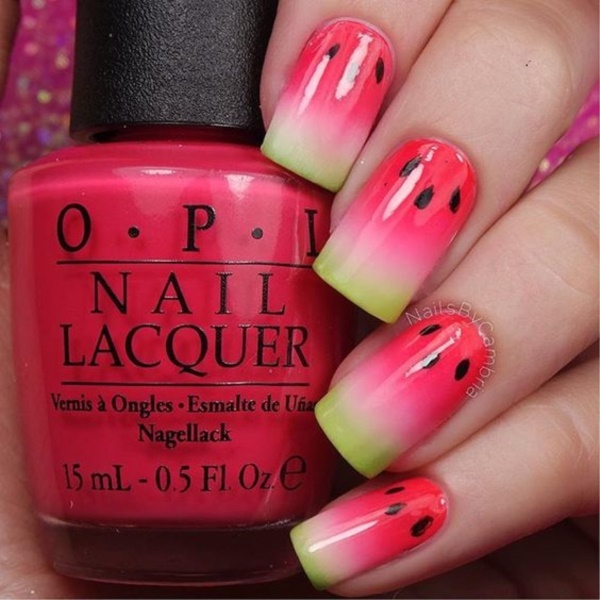 If you layer the colors right you can create a watermelon design that you can then add small black designs to create this fun watermelon design.